All Posts Tagged With: "T3"
Few weeks ago I was in a desperate need of a new blow dryer. My old one just broke, and I’m NOT naming any names. So I took a trip to ULTA Scottsdale Arizona and find myself standing and staring at a shelf full of beautiful blow dryers. Now, which one should I choose? Thanks to a fabulous sales girl, Tina, I decided to get T3 Bespoke Labs Evolution Dryer. T3 Bespoke Labs Evolution Dryer costs $300!! I know! I must say, I was quite skeptical at first to spend that much money on a blow dryer. But, I always remember something Pantene’s Celebrity Hair Stylist Hallie Bowman said: Save your big bucks on hair products but invest in the BEST styling tools. Because good styling tools will cut down on styling time, and the time your hair is exposed to damaging heat. Makes sense. Fast forward 3 weeks later, and I’m one happy customer with great looking hair:) Thank you Tina and ULTA Scottsdale for helping me pick my dream blow dryer! 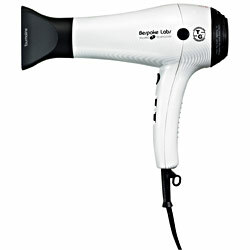 If you are a blow dryer addict than you must get your hands on T3 or T3 Tourmaline II Ionic Hair Dryer. Just like GHD which is widely popular in the UK, T3 is a professional at home way to get your hair smooth and straight. T3 was invented by T3 Kent Yu a Silicon Valley veteran. T3 is a high-tech heat styling system that uses crushed tourmaline which is a semi-precious stone but also the world’s most potent ionic mineral that helps speed up styling time. This means that Tourmaline have more negative ions than any other substance, as well as infrared heat, which gently dries hair from the inside-out. T3 blow dryer is the guaranteed frizz-free hair days. More fantastic features and benefits using T3 hair dryer are: breaks down water for deep moisture penetration, smooths hair surface for silky-smooth shine, eliminates static, delivers heat gently to the hair shaft, closes the cuticle layer to protect the hair, 1800-watt power, 13 oz lightweight, dries up to 60% faster than conventional dryers. T3 can only be used in the North America. When traveling outside on North America you must use an appropriate voltage transformer or plug adaptor. Cost: $200. Also try T3 Limited Edition Narrow Wet-or-Dry Professional Ionic Ceramic Styling Iron which is designed to dry and straighten the hair in one step. Cost: $200. If you like to wear your hair sometimes straight and sometimes curly then you must get T3 Tourmaline Professional Ionic Straighten Or Curl Iron. Cost: $160.